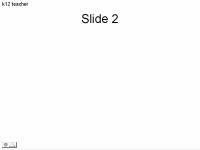 This PowerPoint add-in has been tested with PowerPoint 2000 and PowerPoint 2002 only. Step 1: Prepare a text file containing the text that you want displayed in a PowerPoint slideshow. 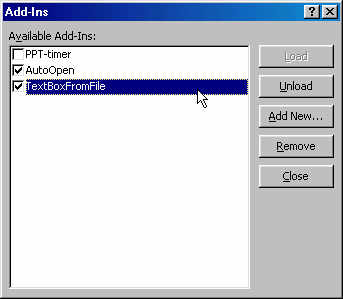 Unzip it and extract the TextBoxFromFile.ppa (or TextBoxFromFile2000.ppa) file to a location of your choice. 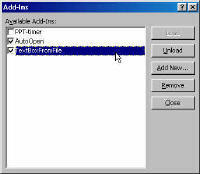 Step 3: In PowerPoint, use Tools | Add-Ins... | Add New... to locate and add the extracted file. 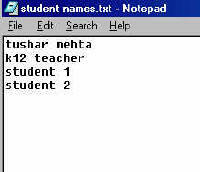 Ensure that it has a checkmark (or a 'X' in PP2000) to the left of the name. If it doesn't, click the Load button. 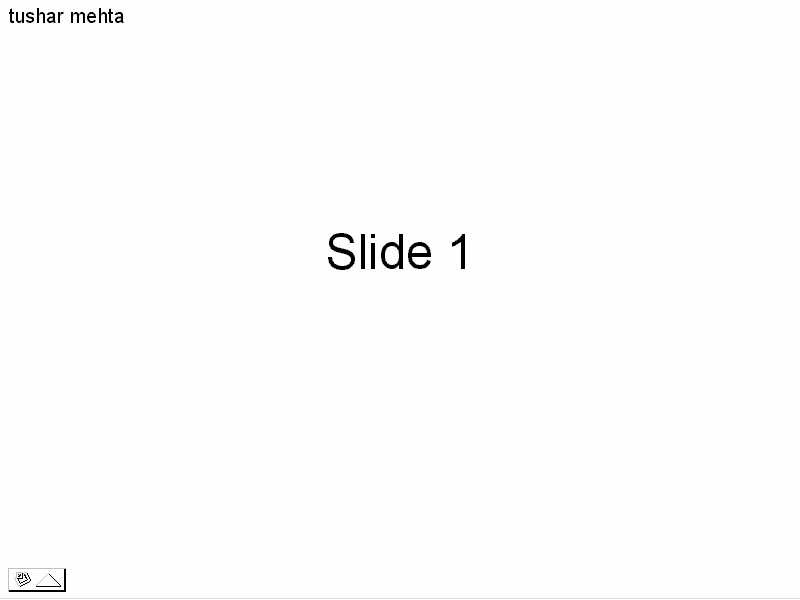 Step 4: Start a new slide show. The dialog box, shown on the right, will appear. 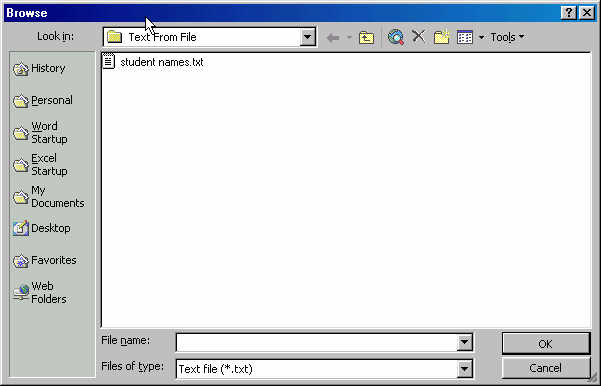 Select the text file created in Step 1 above. Step 5: Enjoy the result. A randomly selected line from the text file will be shown on each slide.